This post is sponsored by my favorite and always delicious STAR FINE FOODS; maker of awesome Olive Oils, Vinegars, olives, glazes, capers, anchovies, and the list goes ON and ON! Thank YOU, friends, for supporting the brands that make Diethood possible! 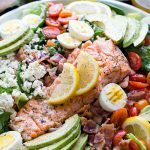 Salmon Cobb Salad with Spinach and Feta – Tender spinach and romaine lettuce topped with delicious oven-baked salmon, tomatoes, eggs, bacon, avocados and feta, all tossed together with a tangy lemon-mustard dressing. It’s about time we turn to salads. I mean… I’m wearing short sleeves for goodness sake! Yes, short. sleeves. Thank you, March, for changing your cold mind and greeting me with 50 degrees these days! I ♥ you! Oh HI pal! What a lovely start to March it has been. I’ve reacquainted myself with my short sleeve t-shirts and skinny jeans that seem to have somehow shrunken in the closet. I mean… jeans shrink when you haven’t worn them in a while… correct? It can’t be because I have been hibernating all winter long and stuffing my face with warm, comfy foods all while neglecting the treadmill?? Naaaaah. It has NAH-THING to do with that. Nada. OH look, DONUTS! 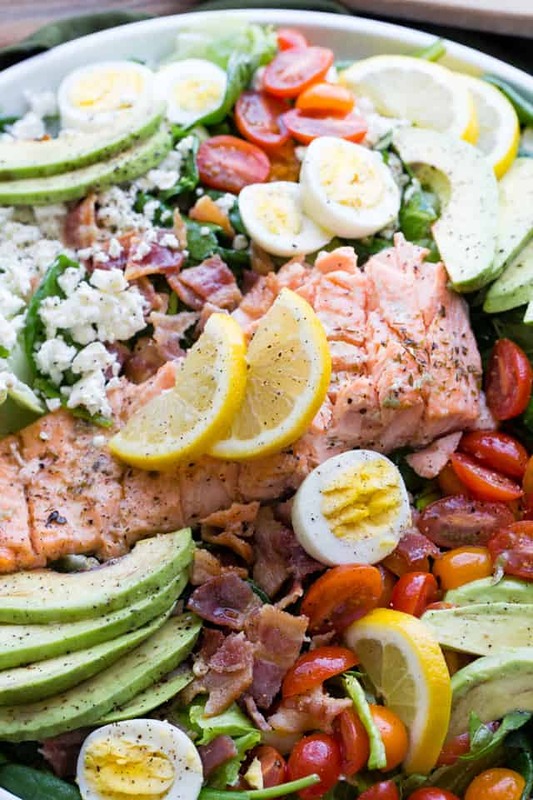 This Salmon Cobb Salad is me finding a solution to leftovers. My food brain dreamed up this salad after a super awesome meal which included my all-time favorite One Sheet Pan Garlic Roasted Salmon with Brussels Sprouts. I LOVE that stuff! But because I baked a 3 pound fish, we had enough salmon for 2 nights in a row. And with the help of my STAR Fine Foods collection of Olive Oils and Vinegars, I was able to come up with a totally different win-win din-din the next day. 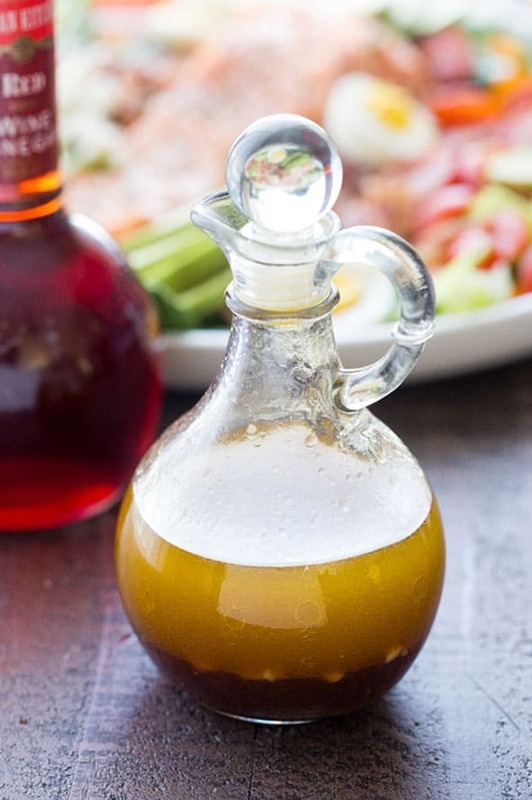 Using STAR Extra Virgin Olive Oil and STAR Red Wine Vinegar is a quick and easy way to enhance foods without adding extra calories, fat or salt. Their Red Wine Vinegar is aged and filtered and made through the acetous fermentation of a selected blend of red wines. 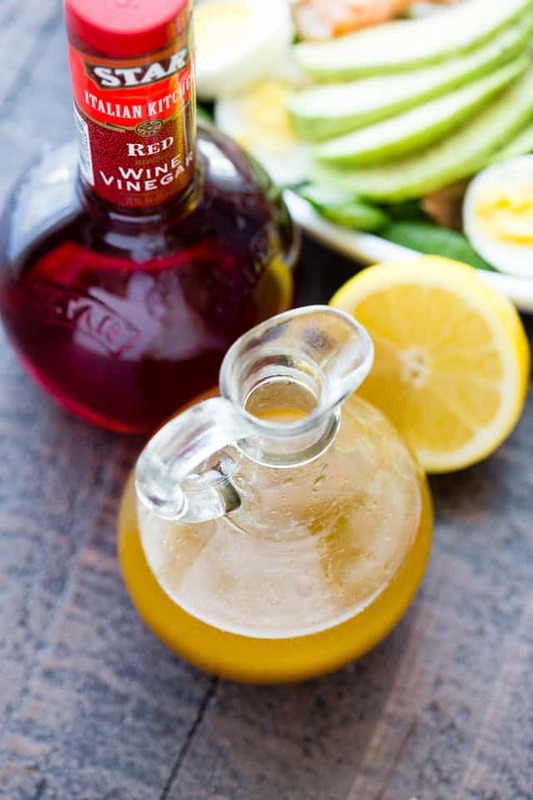 A blend of said red wine vinegar + olive oil + lemon juice + garlic + mustard = a no-fuss, super easy, tangy lemon dressing that goes very well with salmon. All I’m saying is, this is really good news on the salmon cobb salad front. 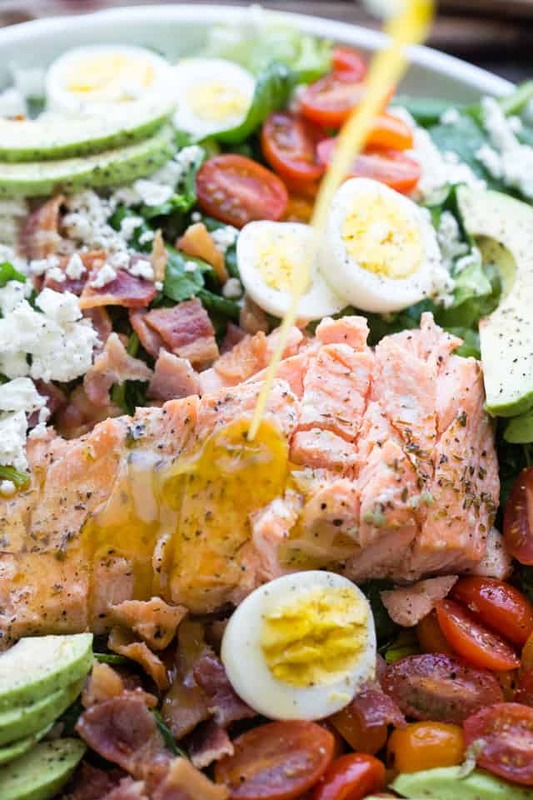 Because there is a salmon cobb salad front…. we’re looking right at it. We’re going to make it all fancy by sprinkling the fish with garlic, salt, pepper and olive oil before it goes in the oven for a short amount of time, or just enough time to get all your other ingredients on a big plate over fresh greens. Essentially, we are going to trust ourselves to fry some turkey bacon, boil a few eggs, slice up an avocado, crumble some feta cheese, and cut up handfuls of cherry tomatoes. This may seem like a lot of work, but it ain’t. Just grab a good sharp knife and follow my lead. 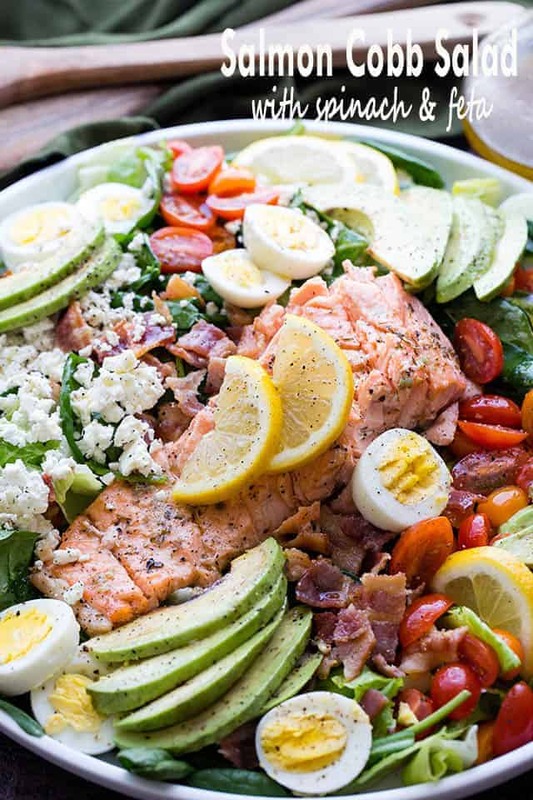 Salmon Cobb Salad with Spinach and Feta - Tender spinach and romaine lettuce topped with delicious oven-baked salmon, tomatoes, eggs, bacon, avocados and feta, all tossed together with a tangy lemon-mustard dressing. 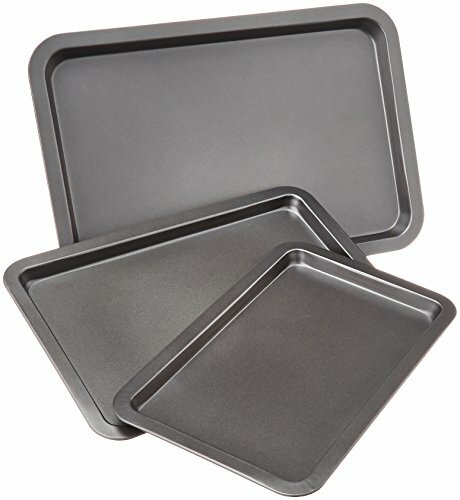 Line a roasting pan or baking sheet with foil. Drizzle some oil over the top of each salmon, just enough to coat the salmon. Sprinkle the salmon with salt and pepper, and rub in the minced garlic. Place salmon in previously prepared pan, skin-side down; transfer to the oven. 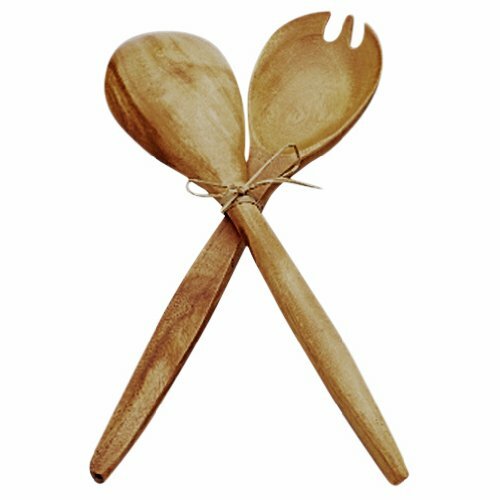 Roast for 15 to 18 minutes, or until salmon flakes easily with a fork. 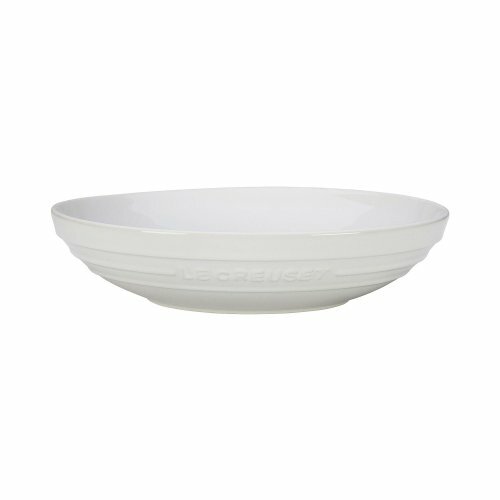 Arrange baby spinach and lettuce in a large salad bowl. Top with prepared salmon, eggs, crumbled bacon, tomatoes, feta and avocado. Set aside. I made this salad and it was by far one of the best salads I’ve ever had! I thought about adding some extra ingredients I had around the house such as onions and cucumber but it was too beautiful to touch. The dressing really ties everything together! The hubby approved as well. Two thumbs up! Just made this for dinner and it was delicious and beautiful. The dressing was incredible! Thanks so much. Yum! Big salads are my favorite, and as a PNW girl I am LOVING the salmon in this! Cobb is my FAVORITE and I love that you used salmon! Such a killer salad! This salad just looks HEAVENLY! My goodness. 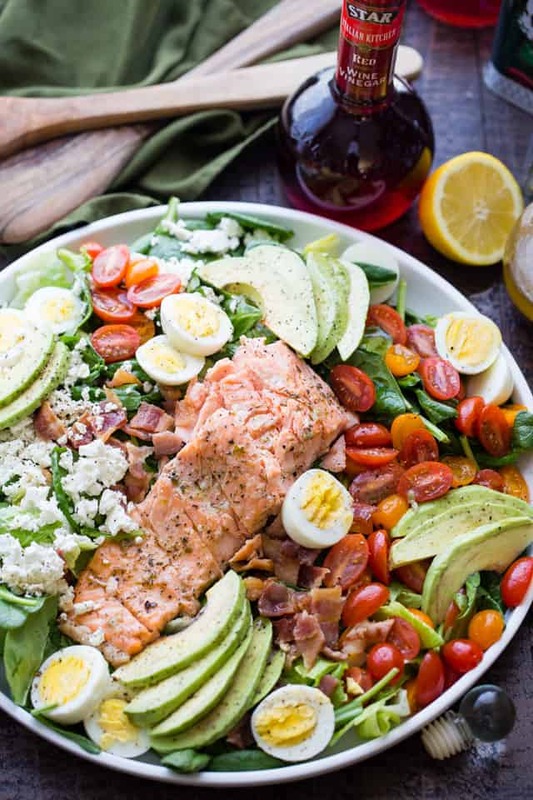 Cobb salads are my favorite, and the addition of salmon is swoon-worthy. This salad looks amazing! I love the salmon. The dressing looks tasty too! This looks so bright colorful — I could dig right in! I love that you can make the salmon in advance, as well! This is my kind of salad!! Looks amazing! Salad isn’t everyone’s favorite thing to eat but this would definitely encourage me! Such beautiful colors, looks so tempting!